Capacity Full. No Enrollment Options At This Time. One of the many advantages with our unique preschool program is a mixed age group. Scientific studies indicate the importance of children teaching children. The mixed age group has a positive connection and natural learning process for infants, toddlers, and pre-k. 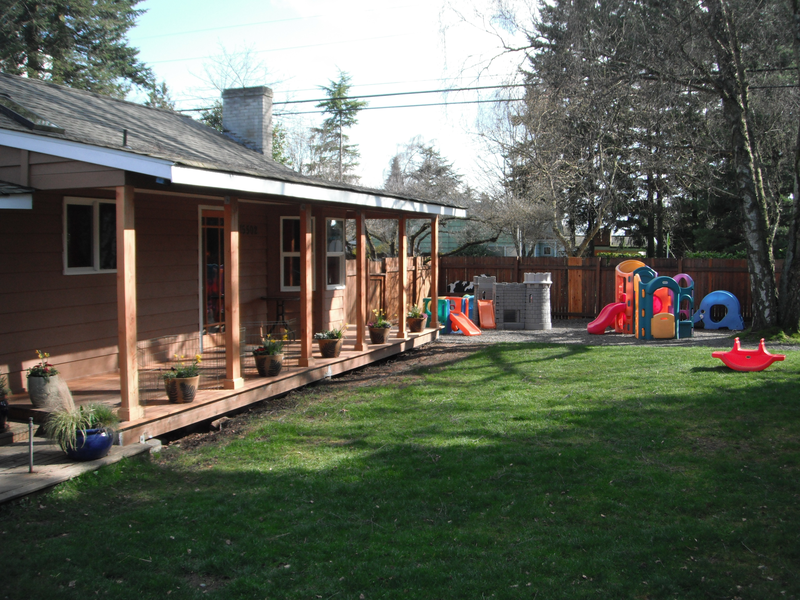 The Teaching Home Family Childcare outdoor preschool includes nature focused learning throughout the school year. Our Nature focus topics last two weeks and emphasize a particular plant, species, or element. Examples of our Northwest Nature Topics include: Flowers, beaches and sea life, trees, salmon, rocks and fossils, weather, and native birds. Incorporated into our nature focuses are books, songs, facts, hands-on activities and art projects; as well as a fun and educational field-trip. Planting, growing and harvesting their own organic vegetables is a rewarding process children take pride participating in. Our nature awareness philosophy encourages an appreciation, admiration, and understanding of our native northwest environment. This helps introduces a sense of significance, esteem, and importance that they can help protect and preserve nature and wildlife in little eco-friendly ways. 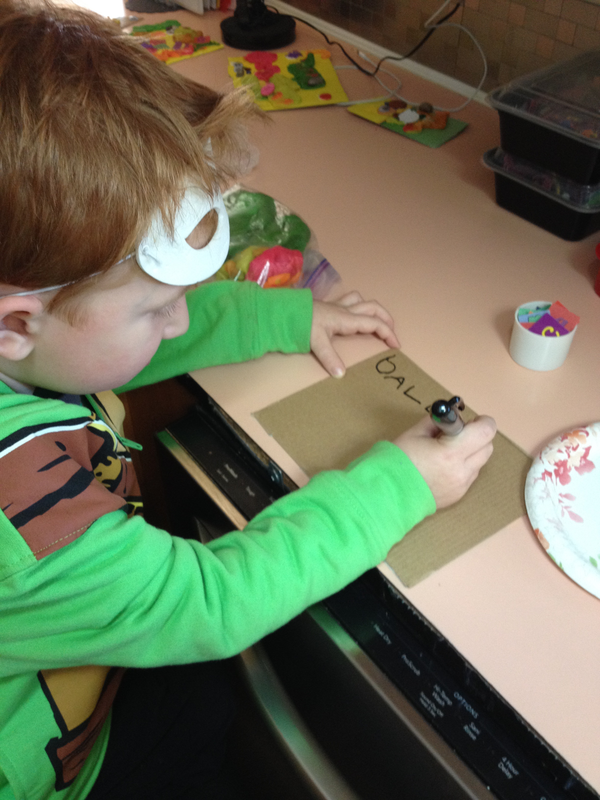 For example, preschoolers find creative ways to use recycled materials for science and constructing art projects. They enjoy participating in adventurous activities, such as planting a tree and observing animals! Academics are important, however infancy through age five is primarily about developing security, personality, character, morals, and self confidence. Meeting a child’s physical, cognitive, and emotional needs come first. Ensuring these primary needs are met is a critical step in preparing children for thriving both in school and in life. We incorporate academics into their routine on an age appropriate level through planned activities and free-play. Infants and preschoolers of all ages enjoy story time and music circle. Introducing a variety of music expands and enriches their worlds. We invite participation in singing, playing instruments, and dancing. 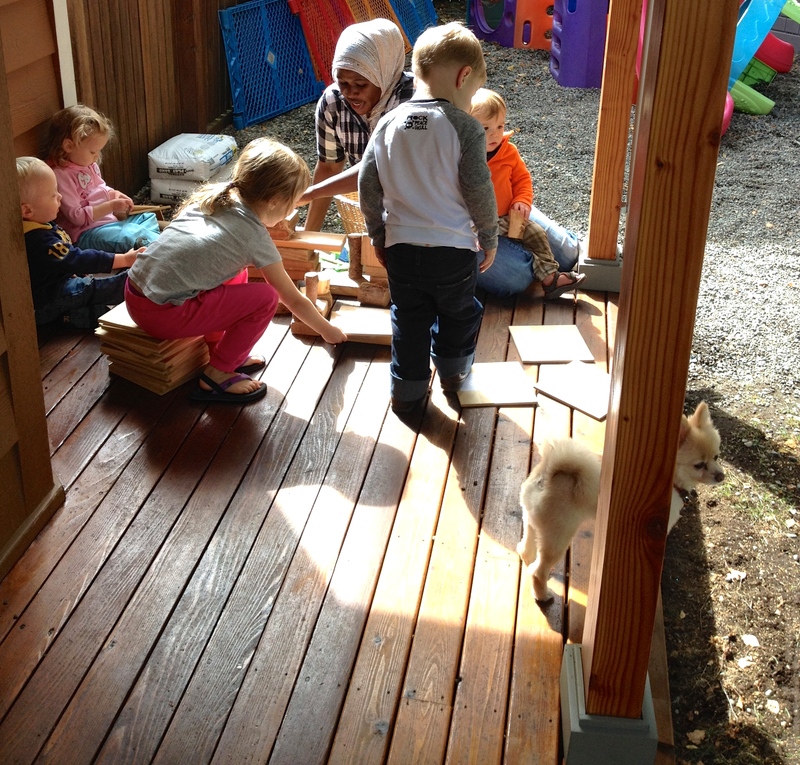 Preschoolers learn and develop naturally at their own pace, every child is different. Academic activities include drawing, puzzles, hands on sensory, recognition and matching of object shapes and colors. Exposure to a variety of toys, tools, and activities is a critical step in early introduction to math and science through free play and learning stations. The Teaching Home provides individualized pre-k tutoring. This one-on-one attention builds confidence, and allows each child to learn at their own pace, naturally. Workbook pages are made available to our older preschooler if interested. Workbook topics can include numbers and counting, letter sounds and recognition, writing their name, or whatever inspires them in the moment. Meals and snacks are included in tuition, no extra costs or bagged lunches necessary.